This is for making a single donation to Health Wyze Media and Sarah Corriher's video project. The ch.. 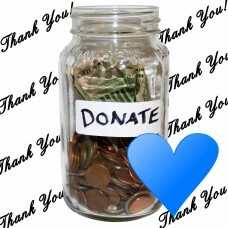 This is for monthly donation subscriptions to Health Wyze Media and Sarah Corriher's video project. ..
We accept all major credit cards, debit cards, Bitcoin, Bitcoin Cash, and Paypal payments. American customers may pay by check or money order. We can also send you an invoice, or take your order by phone. Return to Health Wyze and Fidelity Ministry.